"Maps are featured prominently in this first half of Game of Thrones' final thirteen episodes, appearing as newly-created murals along a floor, buried within ancient texts, or rediscovered in the unkempt halls of a familiar location. Doing so, intentionally or not, reinforces the enormous scope of the lands of Westeros and beyond, in a time when the divided and conflicting forces spread across its surface area may need to band together against a common enemy. Under George R.R. Martin's penmanship, the geography of the lands he created interwove with the events that transpired in such a way that readers and/or viewers didn't dwindle on any chronological uncertainties; in short, the timeline of events made enough sense. Alas, Winter™ is indeed coming, and the series continues to run out of time for when the beloved -- and not so beloved -- characters must meet it, wrapping up monumental threads in a final run of thirteen episodes. 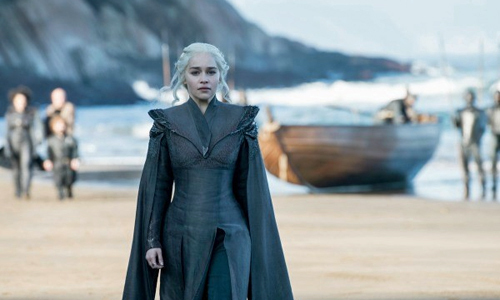 With spectacular craftsmanship and performance value always in tow, Game of Thrones must hurry to make it happen, and that rush can be seen in how this shortened seventh season haphazardly traverses the map." "Creepypasta" can be viewed as the internet's equivalent to a scary campfire story. Sometimes, an example of this online storytelling starts and ends with a single online post that functions as self-contained short fiction, perhaps generating posts in the comments section underneath that accentuate the attempted real-world presence of the piece; other times, it involved a string of participants that add to the urban legend mythology or straight-up expand upon the tale itself. 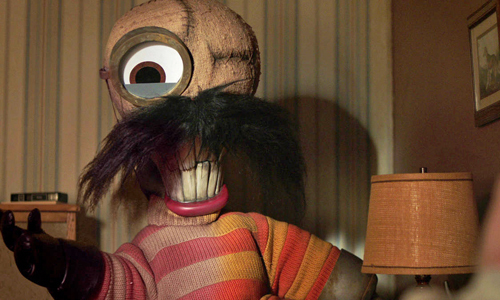 One of such phenomenon involves Candle Cove (click here for the original text), a mythical ‘70s television show that featured pirates engaging in unsettling and borderline macabre behavior, which author Kris Straub capped off with a stinger of a twist ending that made the reader question anyone who's seen the program. That show proves to be the basis for the premiere season of Channel Zero, Syfy's take on the horror anthology concept, though the end result indicates that conciseness and preserved mysteries suit these kinds of stories better than a six-episode miniseries."